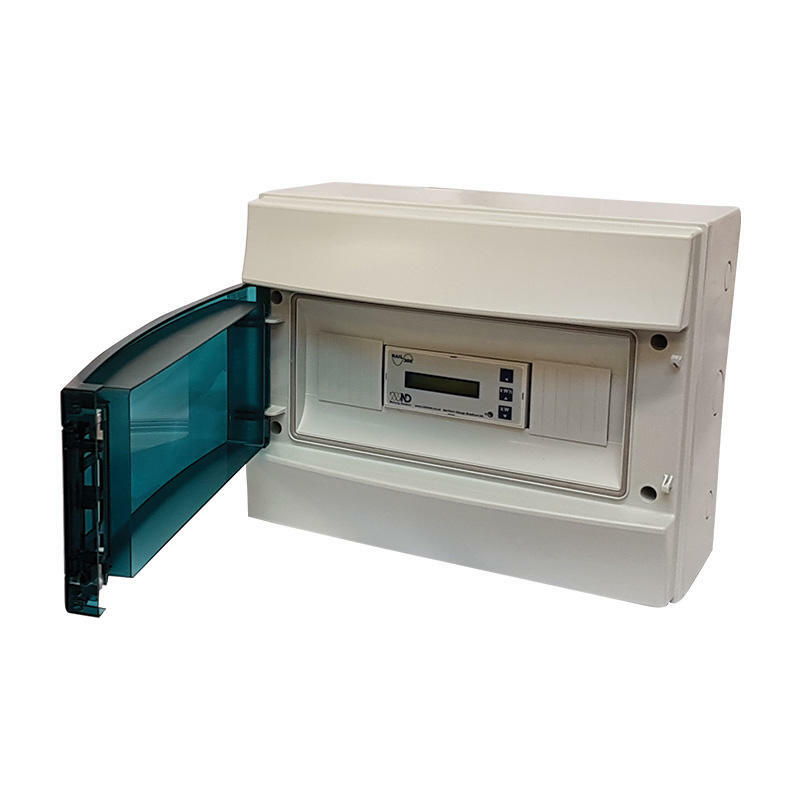 The 300 series of meters are the entry level 3 phase meter by ND Metering Solutions. 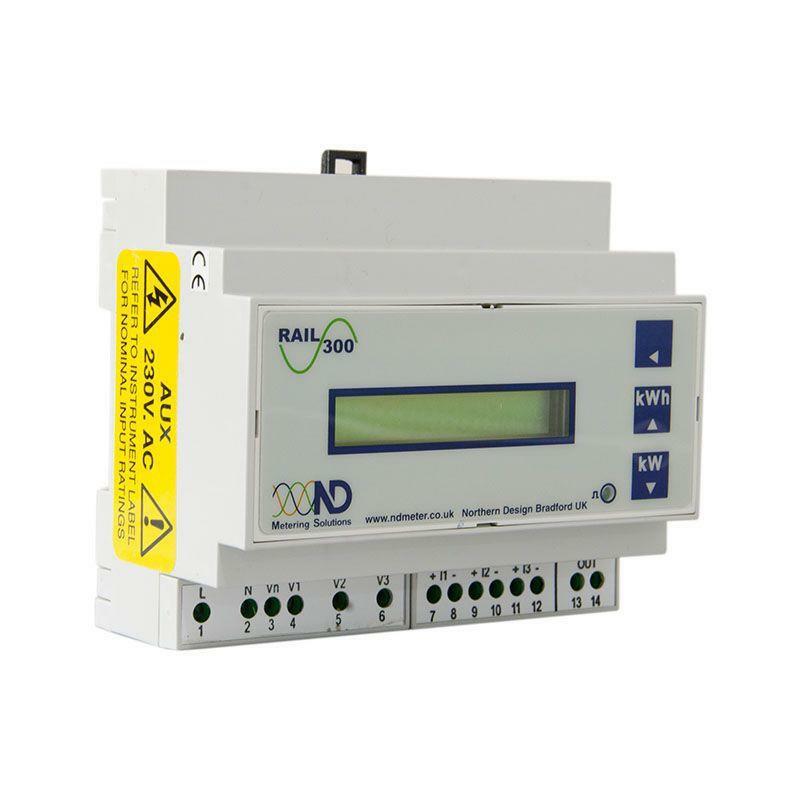 The Rail 300 is a 6 module wide CT operated, DIN Rail mounted electricity meter which also has programmable VT input. 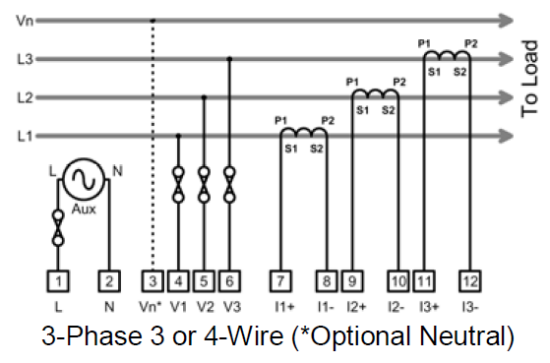 The standard build is for a 5 Amp CT input, however a 1 amp input model can be ordered upon request. The simple display on the meter shows Power (W) and Energy (kWh) to an accuracy better than class 1. The Rail 300 comes with a volt free kWh pulse output as standard, which has a configurable duration and rate.